Since 1986, Access Industries have been a powerhouse across major industries all over the world. 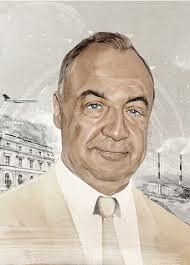 In many ways, the company’s dedication to excellence and track record of success are a perfect reflection of Leonard “Len” Blavatnik. The billionaire may have come from humble beginnings, but there is nothing humble about his life today. Today, the New York Academy of Science and Len Blavatnik give out the Blavatnik Awards for Young Scientists. This shows both the man’s dedication to philanthropy and his insistence on promoting the sciences. Another example of this is when he gave over 75 million pounds to the University of Oxford in order to build a new school of government. To this day, it remains one of the largest such donation, despite the fact that the university has been around for more than 900 years. Of course, Blavatnik is not just some idle fan of science. He has a degree from Moscow State University of Railway Engineering. He earned that prior to moving to the US where he earned an MS from Columbia University and then an MBA from Harvard. During this time, he also founded Access Industries. As of 2015, at just 58 years old, Blavatnik is work over 17 billion pounds, though it’s clear that he is more than happy to share it with others. Amongst other things, Access Industries have become well known for their part in the international Blavatnik Awards. However, across the entire world, the organization is known for their impressive holdings.